Using natural oils as a sunscreen seems counterproductive. I won’t fault you if you think, “That sounds a little like I want to cook myself.” :). 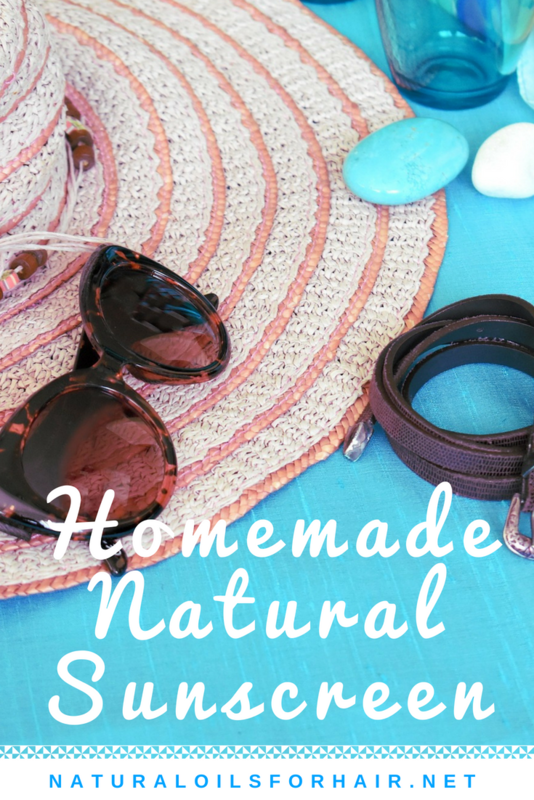 However, if you’re keen on DIY natural beauty products, you can utilize natural oils as sunscreen. You’re already using it on your hair. It’s time to bring the rest of you to the party. First of all, before you go blocking out all the sun heading your way, you need vitamin D for healthy bones. Vitamin D can be derived from food but mainly comes from the sun. Human tendency is to hide from the sun or sometimes, we live in an environment where there’s no sun most of the year, which usually leads to a vitamin D deficiency. Vitamin D deficiency is a serious issue that can lead to long-term problems such as osteoporosis and more. Some sun is good but everything in moderation. A natural sunscreen won’t contain any harmful ingredients that affect your health and may also affect the health of the wildlife in the sea. 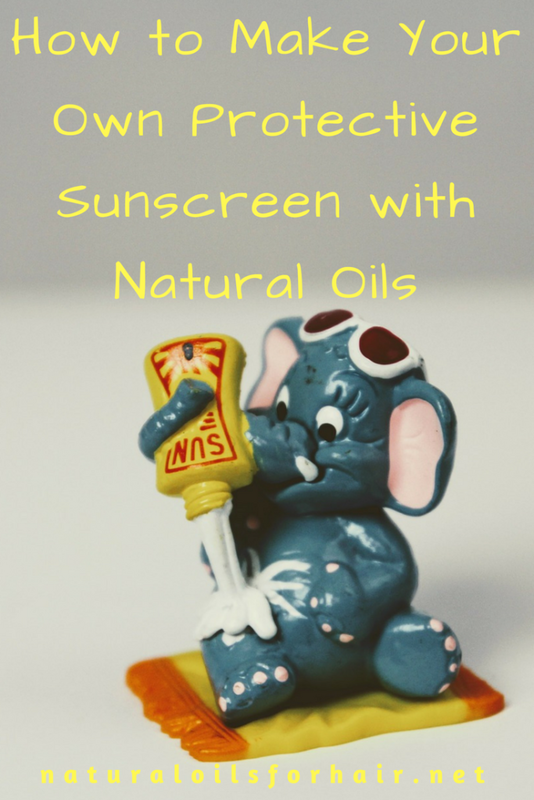 You can make your own natural sunscreen with a few oils and one or two other ingredients. 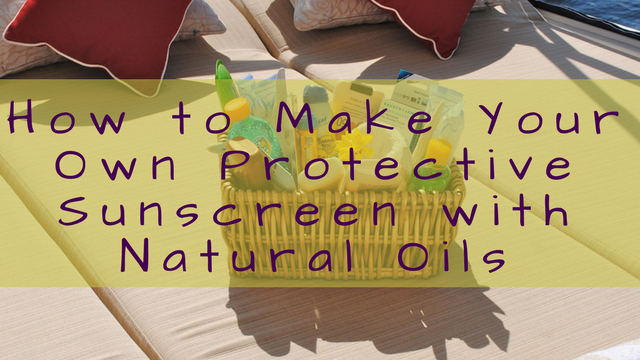 While this natural sunscreen cannot replace traditional sunscreens when it comes to SPF factor, it does provide some level of sun protection. Which Oils Have Natural SPF? Which Essential Oils Have Natual SPF? Melt the shea butter in a small jar over a bowl of boiling water then pour into the glass jar. Add the almond oil, carrot oil, raspberry seed oil, avocado oil, wheat germ oil, almond oil and vitamin E oil. Add the essential oils and stir the sunscreen a few times. Leave in the refrigerator to set and your sunscreen is ready. You can also add 1 – 2 tablespoons of non-nano zinc oxide powder for higher potency. Apply generously over your body when you will be in the sun for a long time. You will need to reapply if you go for a swim. 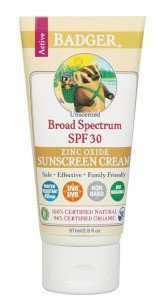 This natural sunscreen has an SPF level of about 10 – 15 taking into consideration degradation when exposed to light as well as other factors like how fresh the oil is. All the natural oils used in this recipe are light and won’t clog your pores. If you plan to spend endless hours in the sun, you will need to use something with a little more oomph than SPF 15. Should this Recipe Replace Commercial Sunscreens? As I mentioned, the recipe above is within the SPF 10 – 15 range, and can only provide so much protection. You will still need to stay out of the sun during the middle of the day. Please note you should use homemade sunscreen in conjunction with the recommended commercial sunscreens for more effective protection. You can also check your favorite sunscreen HERE for a list of ingredients and analysis on any toxic ingredients. You may also want to consider adding Astaxanthin to your diet. A powerful supplement that supports joint, skin, and eye health. Shop the recommendations in this article HERE and get it with free shipping when you sign up, risk-free, for Amazon Prime. Try Amazon Prime HERE.